What is the history surrounding steroids use? Steroids have been around for almost a century with the first accounts of steroids being synthesized dating back to the early 1930s. Their use for performance enhancing, in particular for their potent muscle enhancing effects, is a little more scattered in the steroid history timeline. Although there are reports from the 1940s of Russian Olympic weight lifters experimenting with them, more popular synthetic steroidal compounds such as Dianarol were not synthesized until 1958. Steroids were used in increasing volumes up until the FDA begun legislating against their use in the late 1980s. Are steroids legal in the US? It is important to note that steroids are not illegal per say. They are however, a controlled substance, and have been ever since they were scheduled as such under the Controlled Substances Act of 1990. While each state in the US has their own statutory interpretation on the subject of steroid use, all states are required to adhere to federal law and in turn the reinforced articles outlined in the Controlled Substances Act 2004. What is the maximum punishment for illegal steroid use? The punishment for failure to comply with federal law is definitely not something that should be taken lightly. The punishment, just for possession alone can lead to a minimum $1000 fine and a maximum of 1-year jail time, even for a first time offender. Given the potential difficulty in procuring steroids, some users also get involved with trafficking steroids. This is a potential punishment far more severe; with the maximum punishment being a $250,000 fine and 5 years jail time, even if it is the offenders first time offence. Can you have steroids for personal use? Yes, you can in fact obtain steroids for personal use, however the process for doing this is extremely strict, requiring legitimate medical conditions, and a closely controlled prescription issued only by a doctor. The most commonly prescribed steroid is testosterone, but even this is reserved for rather severe medical cases such muscle wasting diseases, burns victims, or adverse symptoms of chronically low testosterone. What are the alternatives for steroids? With that information in mind, the outlook for general legal steroid use seems rather dull. Fortunately there are a number of natural steroid alternatives that have similar steroidal effects that are 100% legal to use in the US. Supplements containing ingredients such tribulus terrestris are commonly used to increase testosterone levels for the purposes of performance enhancement. 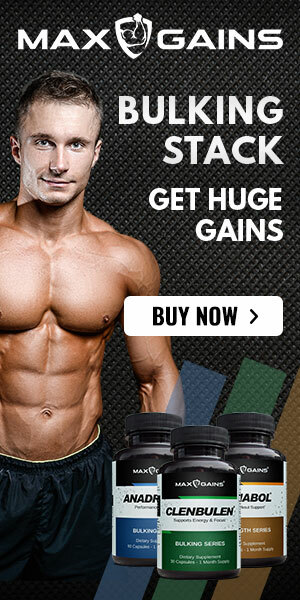 For more information on where to find quality natural steroid alternatives simply follow the link below.